I am very excited to announce that The Sports Ethicist is starting a radio show/podcast. 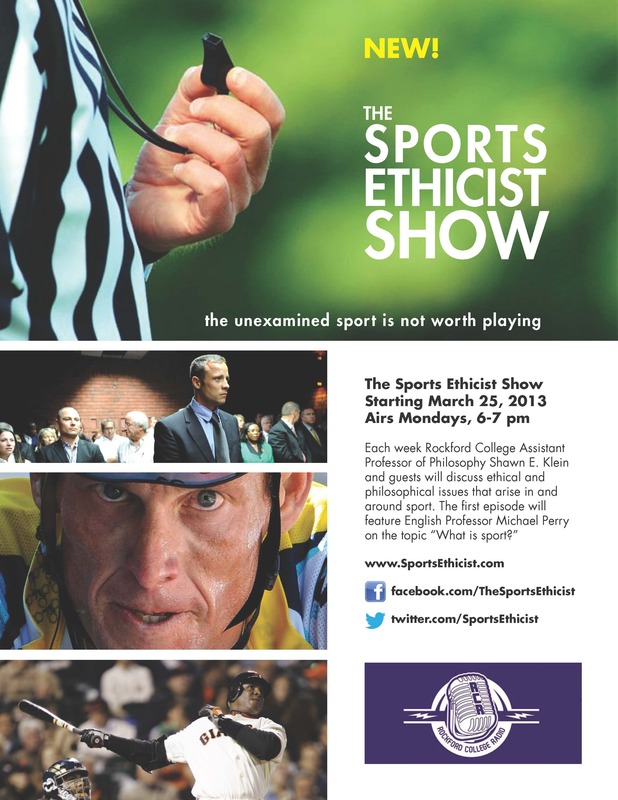 The Sports Ethicist Show will air on Rockford College Radio each Monday at 6 pm (Central). *I may read your email/tweet/facebook message on air, so if you don’t want me to say your name, please let me know in your message.